HO-1: Basic homeowner. Covers your dwelling and personal property against losses from 11 types of perils: fire or lightning, windstorm or hail, explosion, riot or civil commotion, aircraft, vehicles, smoke, vandalism or malicious mischief, theft, damage by glass or safety glazing material that is part of a building, and volcanic eruption. HO-2: Basic homeowner plus. Covers dwelling and personal property against 11 perils plus six more: falling objects, weight of ice, snow or sleet, three categories of water-related damage from utilities or appliances, and electrical surge damage. HO-3: Extended or special homeowner. Covers the 17 stated perils plus any other peril not specified in your policy, except for flood, earthquake, war, and nuclear accident. HO-4: Renters coverage. Covers only personal property from 17 listed perils. HO-5: All risk coverage for building and personal property. This isn’t sold very often now. HO-6: Condominium owner coverage. Covers personal property from 17 listed perils along with certain building items in which the unit owner might have an insurance interest .It also gives you a minimum of $2000 of loss assessment which is mandated in the state of Florida. The loss assessment coverage covers any special assessments that the association levy’s onto the unit owners. Some examples of special assessments are; New paved parking, new roof, loss of reserves, and many more. HO-8: Basic older-home coverage. Covers dwelling and personal property from 11 perils. Differs from HO-1 in that it covers repairs or actual cash values – not rebuilding costs. This is for homes where some historic or architectural aspects make the home’s replacement cost significantly higher than its market value. 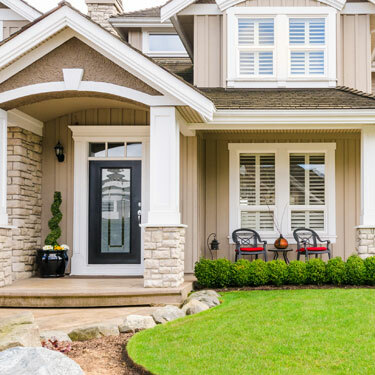 A typical homeowners policy may be just fine for the average house. But when you’ve invested in a home with distinctive or custom features, consider a homeowners insurance solution from EquiInsurance, LLC.